Sandwiches make great finger foods for parties. 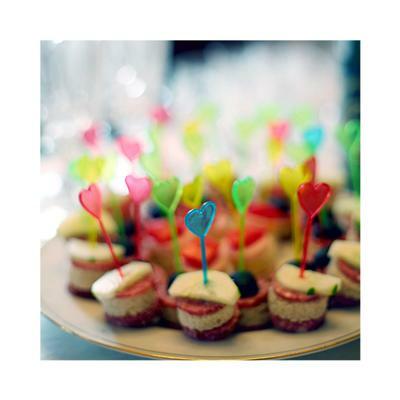 Add some party picks and you have the cutest sandwiches for kids and adults alike. You could even use themed cupcake picks. Use different types of bread, veggies like cucumbers and various cold cuts like salami, ham and turkey. Cheeses like cheddar are also great way to add color to your sandwich. A deli can slice it to the desired thickness to make the deli meat and cheeses easier to cut into shapes. Using small metal cutters you can create fun shapes. Basic shapes like circles and small squares are recommended. We'd like to thank Anna Mark for allowing us to use her photo! Sometimes presentation adds that little something special. 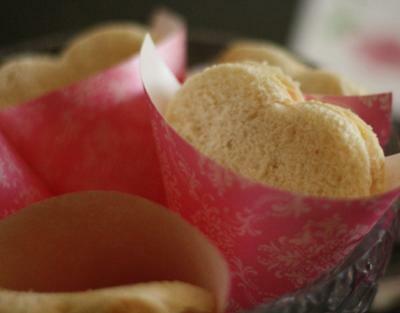 These cute heart sandwiches are even cuter in this red cone shaped holder. You could use paper matching your party's color theme or you might even find some paper with characters. Simple sandwiches with just a slice of cheese or a slice of deli meat work best for cutting shaped sandwiches. Honey or Nutella would be a tasty sweet filling for a sandwich. Special thanks to Louise for letting us use her photo! What a cute way to serve sandwiches! 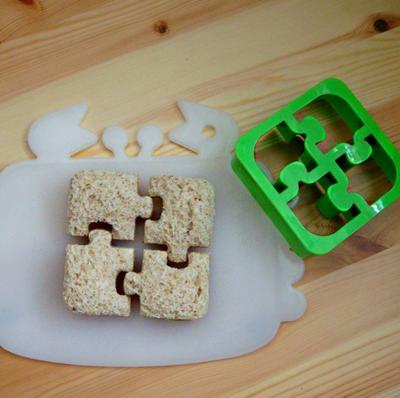 Using sandwich cutters you can make puzzles, hearts, dinosaurs and more. Cut sandwiches to match your party theme or just have some fun shapes. Perfect for the child who doesn't care for the crusts. The cutters are often designed to minimize waste and eliminate only the crusts. Here are some cutters I found on Amazon. The reviews may help you decide which ones will work best for you. Special thanks to Tiffany for sharing her cute sandwich idea! !